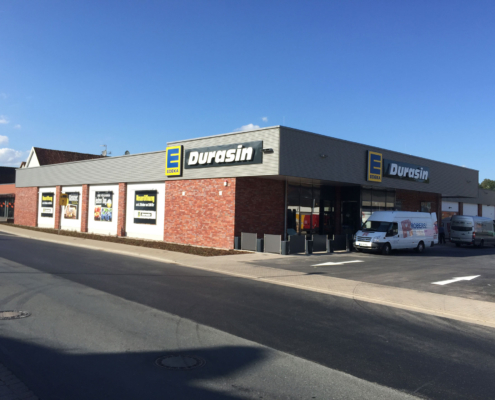 An Edeka Durasin store opened and evolved into Hamelns central convenience store because of its location in the best and bustling district. 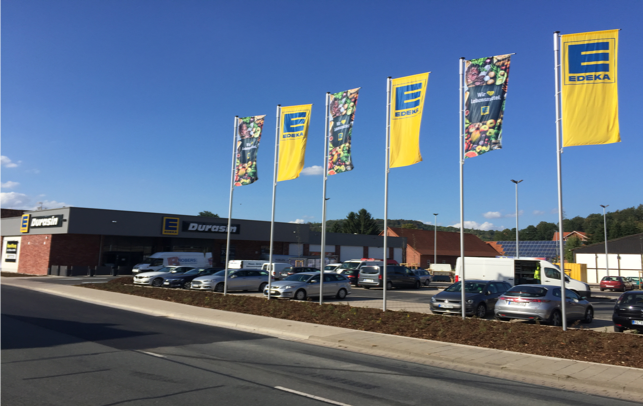 Consumers find a bakery as well as meat and cheese counters and wine consulting services- and always a good bargain on a 1.900 sqm area. With 92 parking bays we provided sufficient space for customer cars. Pleasantly green outdoor installations and very practical options for product delivery were of course included in this new construction project. 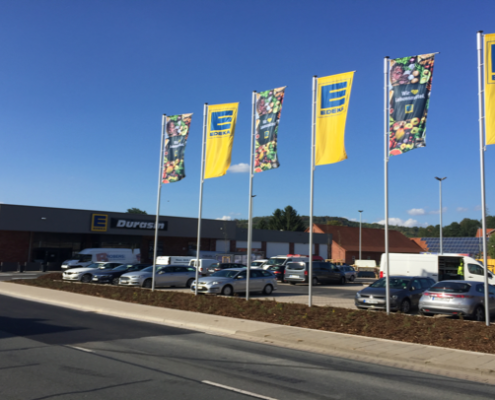 We have taken over the entire planning, the new construction and financing as well as long-term leasing for Edeka. Additionally, we implemented an extensive facility management.